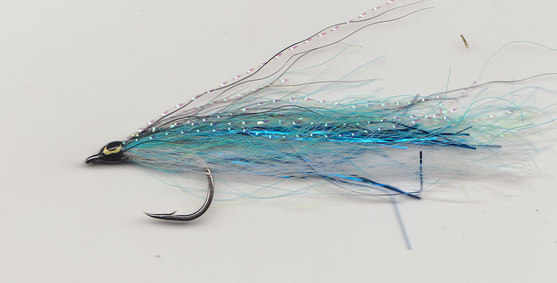 Use this fly for sea trout when they are feeding in shallow tidal water, try all speeds of recovery to find what the fish want, from on the drop to stripped. Tied on carp hooks with more dressing, use these when fishing off rock and kelp beds. These will tempt bass, pollock and coal fish. Short shank carp hooks are very strong, hook fish well and the shorter shank means fewer wing hang ups. These are tied on carp hooks and are suited to floating or sunk line work when fishing off the rock. The shank is left undressed to facilitate hooking and unhooking. The wing is tied mainly with synthetic materials which do not soak up water and so the fly does not increase in weight, this helps casting in wind and combating wild water. Tied in different colours to represent a range of bait fish. Fish this fly deep during daylight hours on a fast sink line, always worth a try in the evening on a floating or intermediate line, fish just beneath the surface and watch big pollack swim up to take it. 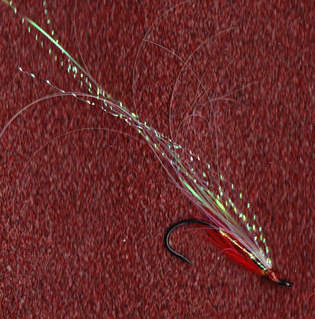 Tied with chaineyes, use this fly for fast retrieves in kelp strewn rock marks for all passing prediters. A smaller version is listed in the Tidal Zone. 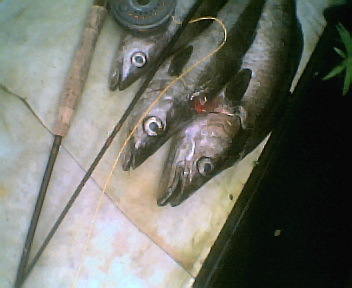 Tied pretty thin to imitate eels and the like, use Giant Shanks if you need a fish imitation. After casting a sunk line and a big fly for an hour or so your arm may well need a rest. Try this on a fast sink line and short 3ft leader. Cast as long a line as possible and let it sink into the depths. Retrieve the line just enough to keep in touch with the fly, so slow you might be going backwards is worth repeating to yourself, takes show on the rod top as knocks, think weirpool barbel fishing and you are there. Tied in proven colours. 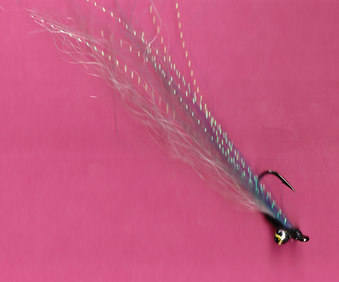 Use the larger flies in a tidal lagoon or estuary and the fish will just laugh! 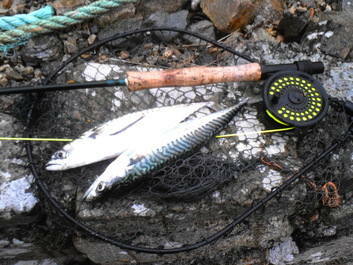 Even mackerel feeding in shallow water can be far more choosy than you might think, sea trout are never mugs. The following patterns will work in sheltered water conditions and can be cast on AFTM6/7 outfits. All are tied on salmon hooks. Sand eels and elvers form a part of many saltwater fishes diet, use this fly whenever you see surface feeding fish. Quick retrieves are in order as the eels swim like hec when they are chased! If stripping fails try fishing one on the drop. This well hackled fly is very handy in weedy conditions, its bulk means it can be fished slowly or dead drifted through the snags and weeds. When big fish chase small fish you will often see surface activity as the baitfish try to escape. Use a Zero Muddler to skate just subsurface to get the predators attention. Not sure the colour matters so use orange! 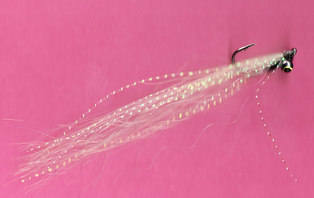 Simple little fly to inch along, imitates nothing and everything, this fly will catch Herring which are pretty fussy! 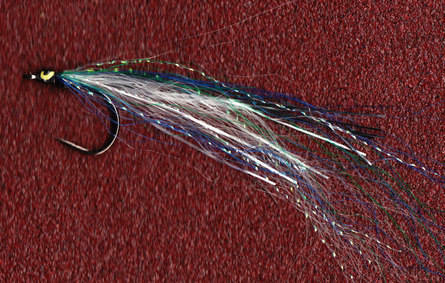 Mullet and other fish feed on the larva of the sea weed fly, try this pattern near rotting weed. Also the Killer Bug may well be worth a shot. 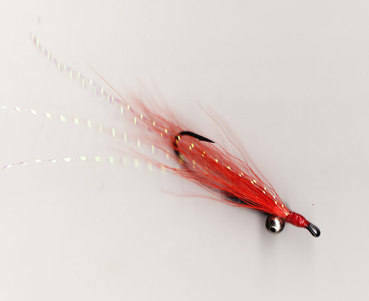 This plain little fly is often the best bet on any water. Tied on a heavy duty carp hook ideal for saltwater work. Looks like a shrimp,sea water louse and all manner of creepy crawlies. Tied on a heavy duty carp hook. Try this in tidal/saltwater sea trout locations. Fish on a fast sink line with a 3/4ft leader, bounce the fly across sandy bottoms to tempt fish feeding on small flatties, crabs and anything else that lives down there! Mullet graze on loose sea weed try this fly when you see fish swirling at the surface if they refuse other patterns. 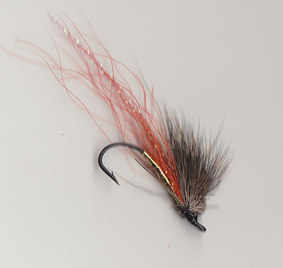 Tied on low water salmon hooks with less dressing, use these when larger flies fail.